If you’re a visual person, Pinterest should be your new best friend when it comes to trip planning. This is the best way to get a snapshot of everything you should be doing and seeing on your trip. Just type in the name of the destination + travel, food, hotel, etc. and Pinterest brings you the most current travel blogs and travel company posts – in picture form. Click the picture that looks interesting, read the short introduction, and then add it to your list of places you want to see, things you want to eat, or hotels you want to stay. You can even create a new Pinterest “board” and pin it with everything you like – now you have a collage of pictures outlining your whole trip! Instagram also allows you to "pin" cool destinations and posts you find that inspire your wanderlust. With the save feature, you can create albums of destinations you hope to travel to one day. Get inspired and keep track of the landmarks you wish to visit, keeping it all in one simple place. This is the worst part of travel planning for those who hate to plan. Itineraries require attention to detail and research – how far away is “xyz” from the hotel, how can I get there, and how much does it cost, are some common questions that need answers. Luckily, there’s probably a travel blogger out there who’s “been there, done that” and can offer some first-hand advice. Again, just type in the destination + itineraries into Pinterest or Google. You’ll get a ton of hits from real travelers sharing their experiences, stories – and most importantly – how they planned their trip. Tweak the plan to fit your preferences or follow theirs to the T. Perfect for those who can’t bother with Google mapping distances and trolling the internet for ticket costs. Booking a flight doesn’t have to take hours until you're stressed out of your mind. Naturally, you want to get the best deal and comparing flight prices is necessary if you're looking to budget. Don’t search for flights one by one. Save your sanity and choose an app/website that will do that for you. 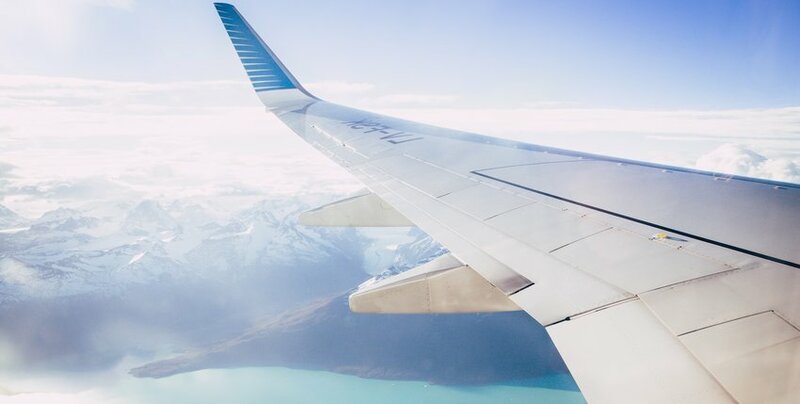 We love Skyscanner because it’s user-friendly, has lots of filters, and takes just seconds to compare flight prices between multiple big-name airlines. The results are filtered according to price and all the necessary information is included like flight time, arrival/departure times, layovers, etc. If you’re flexible on your travel dates, Skyscanner can also save you money with its calendar displays which show which days in the month have the cheapest flights. Booking a flight just got a lot easier. Food is important in a new place and a big part of the travel experience. However, as a traveler, you run the risk of getting the touristy version of the real thing. Avoid disappointment and download Four Square or Yelp. Both are no-fuss apps that work based on your location and what’s nearby. So, if you’re starving and have no idea where the restaurants are or how to choose one – these apps will come to your rescue. Discover all the restaurants, bars, and cafes around you, starting with what’s the closest to your immediate location. Read ratings, first-hand reviews, pictures for each place, and a map showing you how to get there. What’s easier than that? Can't even handle the idea of planning? Why not join a group trip? Companies like G Adventures organize every little detail - from accomodations to restaurants to activities - and all you have to do is choose the trip you want to take. You can also consider joining a cruise that transports you from destination to destination while you sit by the pool with a cocktail in hand. The only decision you'll need to make is whether you want to swim with dolphins or zipline through the jungle.